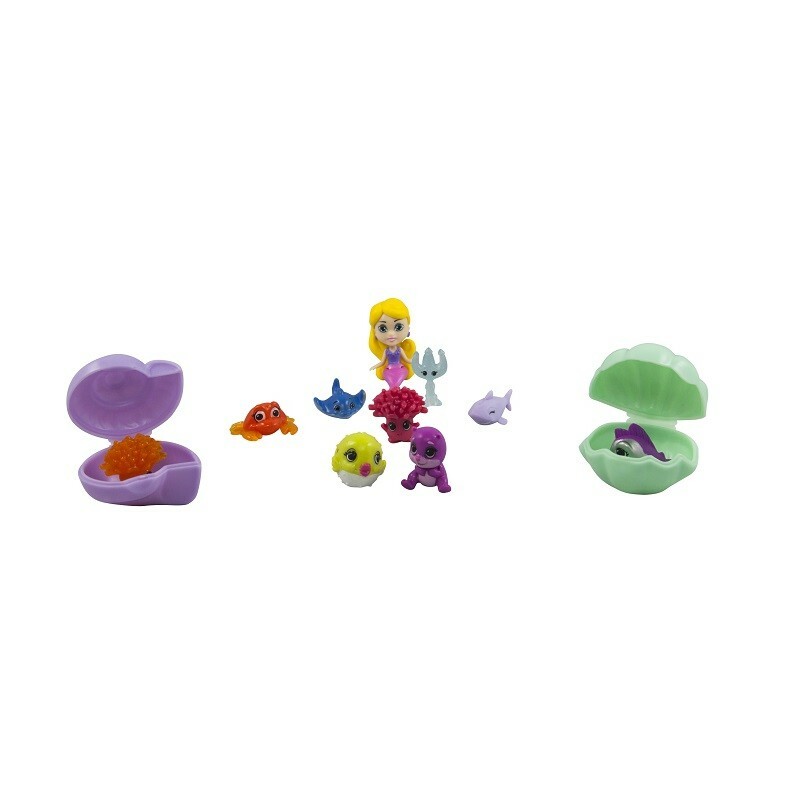 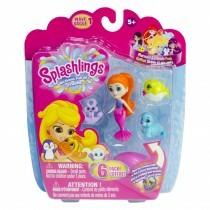 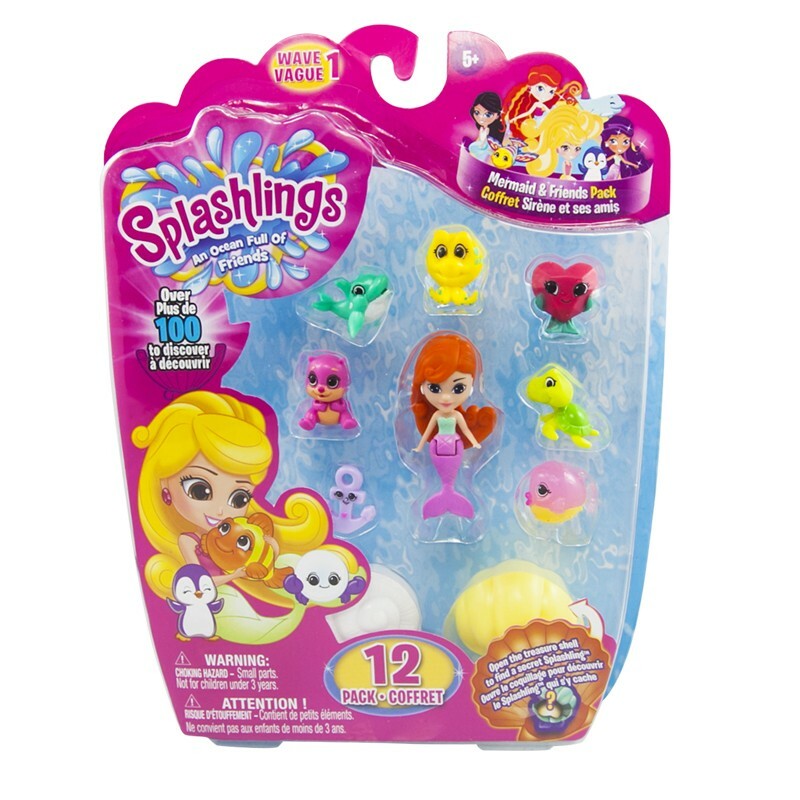 Includes one mermaid and 7 Splashlings. 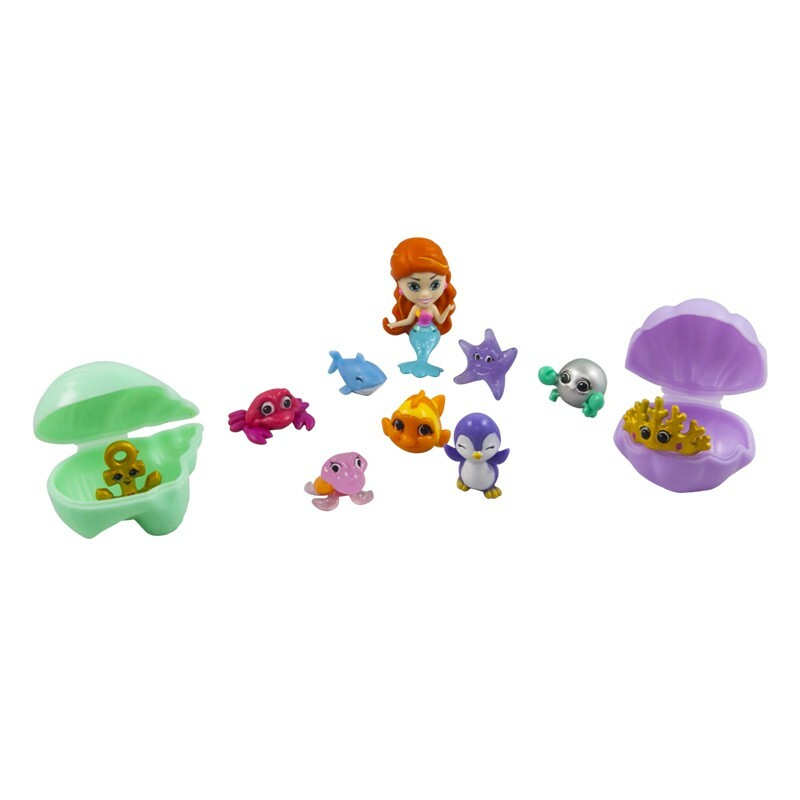 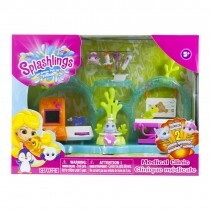 Open the two collectable shells to reveal two more mystery Splashlings! 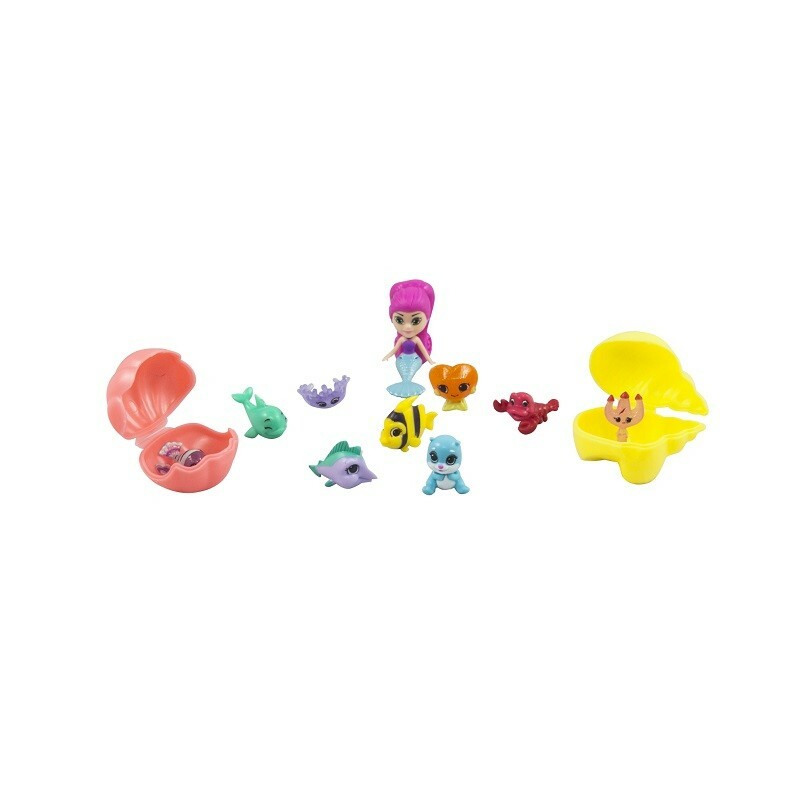 Eight packs in the assortment to collect.